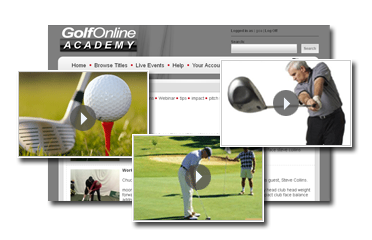 Become a Golf Online Academy Member! Everything you need to analyze and improve your golf game! Get instant online access for just $0.99 for 30 days, and then $9.95 per month. I have read and agree to the Terms & Conditions of this offer. I understand that this offer is $0.99 for the first 30 days and then I will be charged $9.95 per month to my credit card. I understand that I can cancel anytime by calling 1 (800) 472-6265.